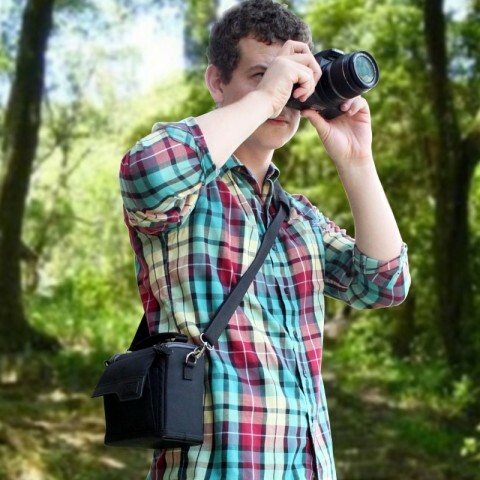 Work with confidence knowing that your camera is protected with this durable, heavy-duty camera bag! The exterior is made of high-density Ripstop Nylon and a rugged wrap bottom to withstand harsh weather conditions. The interior is constructed with a scratch-resistant lining. 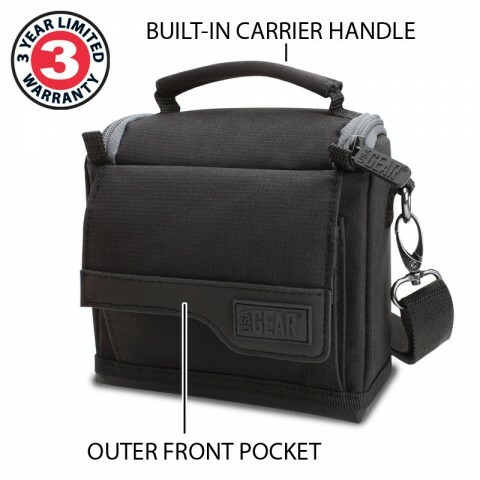 With padding throughout the bag and reinforced impact-resistant walls, this bag is guaranteed to protect your camera! 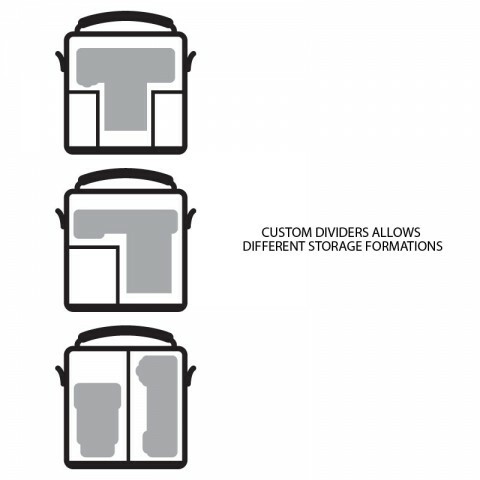 Two removable dividers allow you to organize your bag. 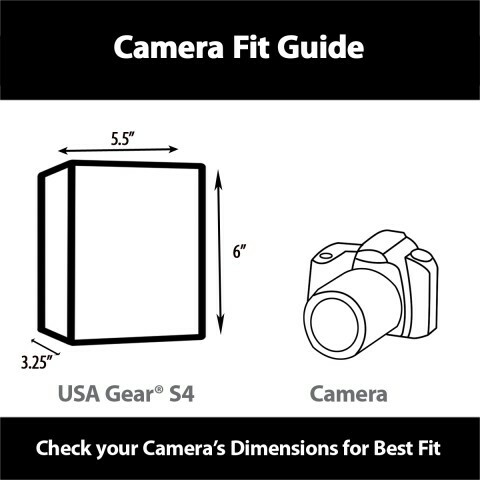 It is customizable for offset, center lens and zoom cameras. 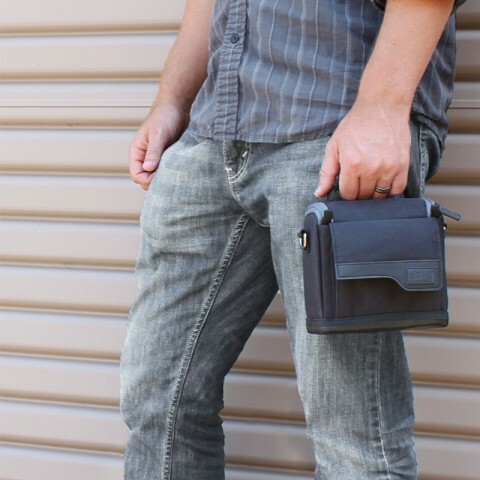 Utilize the dividers to hold your accessories under, above or next to the camera. 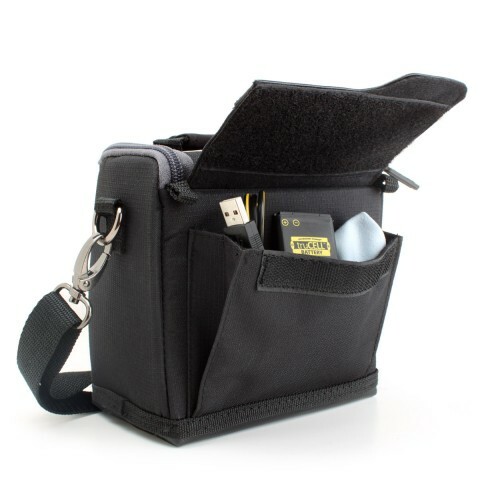 There is an expandable (outer) front pocket to store cables, USB drives or card readers. 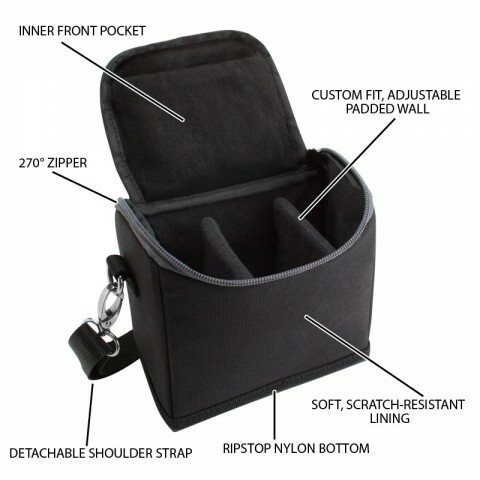 On the inside, there's a pocket below the opening flap for smaller accessories: memory cards, cleaning cloths and more! 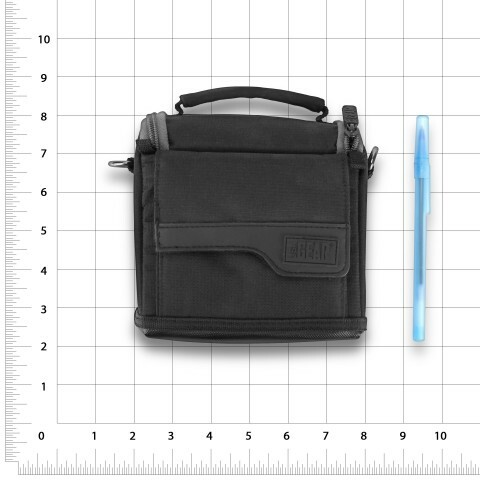 Use the detachable strap or built-in handle to carry your bag. Reverse opening zipper for optimal accessibility.